Registered nurses take the best care and look after all the needs and requirements of the patients. 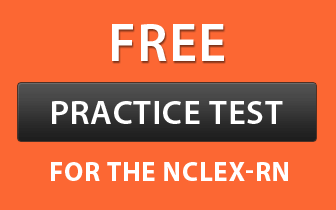 It’s compulsory to clear the NCLEX-RN exam, in order to obtain a nursing license in Colorado and carry out your work. When it comes to registered nurse salary in Colorado, it is calculated on the basis of your education, experience, work settings and cost of living in the area your workplace is located. The U.S. Bureau of Labor Statistics ((BLS) provides the relative information regarding RN salary in CO. The mean annual and hourly salary received by an RN as per the BLS, in May 2017, was $72,570 and $34.89 respectively. 49,340 RNs were reported to work in the state in May 2017, and the employment per 1000 jobs was 19.31. As per the data provided by indeed.com, the average pay of these workers in August 2018 was $68,890 which was estimated to be equivalent the average registered nurse salary at the national level. The table below reveals that at different percentile levels, the income of registered nurses was also different. 90% of RNs made less than $97,810; 10% made more than $97,810. 75% of registered nurses earned less than $83,600; the remaining 25% earned more than $83,600. 50% of the employees earned less than $71,280; the rest of 50% earned more than $71,280. 25% of RNs were paid annual wages less than $60,100; 75% were paid more than $60,100. 10% of employees were offered less than $53,390; 90% were offered more than $53,390. Geographical location is also a very important factor because it directly affects the calculation of your salary. Every city offers different salary depending on the availability of employees, competition and salary reforms. According to the salary.com July 31, 2018 report, the cities of Boulder and Broomfield offered the best Staff Nurse RN II salaries $74,779, and $74,024 per year respectably. In the same period, with a salary $67,562, Pueblo was the minimum salary paying city. If we scrutinize the below table figures from salary.com October 2014 report, we can find that the highest paying city of CO during that period was Boulder with median yearly salary of $71,064 and median monthly salary of $5,922. The median hourly wages lies between $30 and $34. With median salary of $62,668 per annum, the lowest paying city is Jefferson. Every job title in the nursing sector has its particular responsibilities, duties, benefits and salary. The amount of your paycheck completely depends upon the type of work you are associated with, and the experience and qualifications you have. A better job position will gain you a better salary package. In October 2014, Clinical Nurse Managers earned $62,000, and RN First Assistants made $58,000. People with other designations enjoyed pay between $51,000 and $57,000. In case of registered nurses, with responsibilities come benefits. They can avail a number of benefits which may be in the monetary or non-monetary form. Growth in the nursing sector is largely due to new health reforms, extensive demand for such services, and rapidly increasing population. It is expected that the employment opportunities for registered nurses will increase at a rapid rate, i.e., 15% from 2016 to 2026 as per BLS. It is much faster in comparison to the other professions. So, all those who are looking for a bright and secure future must enroll for RN schools soon.